Mr. Secretary General, Your Excellencies, Heads of State and Government, Ladies and Gentlemen! Thank you for the opportunity to provide an Afghan perspective on NATO, threats to our interconnected world and our efforts to secure the future. On behalf of a grateful nation, I pay tribute to your citizens who paid the ultimate price to ensure our freedom. We thank political leaders, generals and officers, and the men and women who have fought shoulder to shoulder with us. We thank the taxpayers and the civilians from your countries who have dedicated their lives to helping us recover from the estimated $240 billion of economic losses inflicted on us by invasion and conflict. NATO has maintained its relevance and effectiveness in the paradigm shift presented by post-9/11 Afghanistan. The organization’s fulfillment of both its combat and support missions in Afghanistan is a corroboration of NATO’s continued global relevance, adaptability and effectiveness. Its transformative legacy, however, is building our 352,000 strong security and defense forces. Having assumed full responsibility for national security in December 2014, our all-volunteer forces have displayed commitment to the nation and the constitution through immense sacrifice, thereby earning unprecedented public support and trust. They are resilient in the face of adversity, and they have made constant improvements in efficiently and effectively coordinating and building systems of leadership and management. These developments have enabled them to face and overcome a series of vicious attacks from forces of disorder and terrorism in 2016. Thanks to our joint investment in our security institutions, Dr. Abdullah, the CEO, and I can confidently state that the combat role of NATO in Afghanistan is over for good. Our confidence derives from our national resolve and the constructive partnership between our National Unity Government and NATO. Having signed the BSA and SOFA on our first day in office, we created an environment of mutual respect and trust befitting foundational partners. We thank President Obama for expanding the authorities of the Resolute Support Mission, extending the mission of the US troops in 2015, and his latest decision to maintain American troops throughout his term. We are grateful to leaders of the Framework countries and all leaders of NATO and allied countries for support that ranges from troops, to enablers and funds for our security forces. General Campbell and General Nicholson deserve praise from all of us for their leadership. Coping continuously with the specter of terrorism, we Afghans have special empathy and sympathy for victims of the Fifth Wave of political violence that threatens our interconnected world today. Global connectivity simultaneously increases our collective vulnerability to this new threat. We believe that the range of organized forms and techniques of violence today draws on previous waves of violence throughout history: anarchism, anti-colonialism, terrorism of the 1960’s and 70s, and violent ethnic and identity movements of the 1980’s and 90s. The symbiotic relationship between criminal economic networks–manifested in drug and natural resource wars–and criminal politics is making this Fifth Wave a medium term obstacle to global stability. Overcoming the obstacle requires simultaneous action on four fronts: national, regional, Islamic and global. Our national focus is directed at owning and solving our interrelated security, economic, and political transitions. Through increasing national revenue by 22%, we are meeting our Chicago commitments to the financing of our forces. The key to our success lies primarily in our ability to transform the culture of the state from entrenched corruption to a citizen-centered governance system. As a test of our political will, we ask all our partners to deliver their assistance on budget, and make it conditional on fulfillment of agreed benchmarks. This is an approach that we have successfully piloted with the IMF and the US. I thank Prime Minister Cameron for his leadership on anti-corruption as an international problem. Afghanistan is a stakeholder society per excellence and we are proud of our record of respect for democratic freedoms of expression and assembly. An Afghan-owned agenda of reform translated into a conditionality-based international compact for on-budget support would enable us to converge the needs of key stakeholder groups –especially women, youth and the poor – and the government’s reform agenda. This, in turn, would enable us to increase the speed of delivery, enhance the quality of services and ensure accountability and transparency. Peace is our highest national priority. Reaching peace, however, requires understanding the nature of the war imposed upon us. The conflict is multi-dimensional, ranging from Al-Qaeda and Daesh to terrorist groups with Central Asian, Chinese, and Russian origins, to Pakistani groups classified as terrorists by Pakistan and Afghan Taliban groups. Because these groups pose a threat to the region, the Islamic community and the world at large, we have devoted significant efforts to achieve cooperation regionally and within the Islamic community to defeat these groups. Our regional initiatives with neighbors are beginning to yield significant cooperative dividends. The exception is with Pakistan–despite clear commitments to a quadrilateral peace process, their dangerous distinction between good and bad terrorists is being maintained in practice. The key problem among our neighboring states is an absence of agreed rules of the game, thus we seek regional and global support in creating those rules, which will bind us to collective security and harmony. The discussions within the Arab-Muslim community have also been productive, especially the 2015 Mecca declaration against terrorism. The terrorist attack against the Mosque of the Holy Prophet in Medina has outraged the Muslim community and should result in a consensus against the tiny minority that is attempting to hijack our civilization. Global attention to Afghanistan has been exceptional and we, once again, thank you for your strategic focus and patience. Today, from the Warsaw Summit, we hope for a clear signal of support for the heroic deeds of our soldiers and the hopes and aspirations of our people. With your resolute support, we will redouble our efforts to create a democratic constitutional order and an accountable and effective state that can bring peace to our people and secure our future from the menace of terrorism. Proud as I am of serving as the commander-in-chief of our heroic forces, the epithet that I would like to be remembered by is the peace and development president who served as a catalyst to making Afghanistan once again into an Asian Roundabout. Poland has been a great host and we thank the government for its hospitality. I want to start off by thanking our partners, each and every member state of NATO, as well as all other associate nations that have, since 2003 till now, helped us try to make Afghanistan a more secure and stable country. Back in 2003, as foreign minister in the new transitional government, I clearly remember the discussions that eventually led to a wider international presence across Afghanistan. At a time when we Afghans were busy with the rebuilding of state security institutions, laying a democratic foundation for a constitutional political order, and attempting to revitalize our war-battered economy. NATO’s first-ever deployment beyond the Euro-Atlantic area, mandated by the United Nations, and under the umbrella of International Security Assistance Forces in Kabul and the surrounding areas in Afghanistan, was not only historic, but also proved to be the right decision given the domestic and regional dynamics at play back then. Unfortunately, some of these dynamics are still at play today. Looking back at recent history, some of us failed to grasp, the strategy that enabled the reemergence of militant cells that enjoyed sanctuaries and staging grounds in our neighborhood. But that strategy, in the face of Afghan resolve and international steadfastness, has failed and I am certain, it will never succeed. 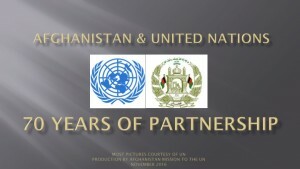 During the past decade, thanks in large part to all of your nations’ generous contributions that made Afghanistan an example of international cooperation, and the role played by thousands of young military men and women personnel from more than 60 countries, the Afghan National Security and Defense Forces grew in numbers, and more importantly, in terms of capacities, heralding the end of the international combat engagement in 2014, and the start of a new era of cooperation and assistance under the Resolute Support mission. 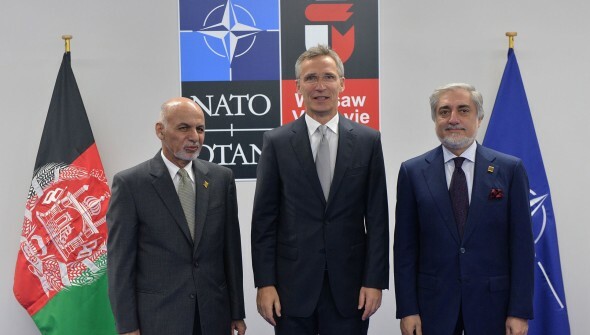 I can say with confidence that the Afghan nation benefited greatly from the NATO engagement, not only in the security sector, but also with the concurrent civilian deployments to bridge the gap between reconstruction and security in many parts of Afghanistan. We are most touched and humbled by each and every man and woman, military and civilian, who served with honor and paid the ultimate price in the line of duty. Their sacrifices were not in vain, and serve a much greater cause affecting humanity as a whole, and those who seek a better and, safer and more democratic world. Alongside our own brave citizens, who have fallen, we salute all of your heroes, whose legacy forms a strong bond of friendship between our nations. As we embark on a new chapter following the decisions taken made at the Wales Summit two years ago, I can also assure this audience that despite major efforts underway by our common foes to make significant gains during the 2015-16 battle seasons timeframe, our forces, assisted by your advisors and trainers, have thwarted enemy plans, albeit at a very high cost to our brave forces and our resilient civilian population. We are grateful to NATO for the timely decisions taken made over the past two years, and now again, at this critical moment to renew the mission’s mandate, as well as President Obama’s principled decision to keep 8,400 troops in Afghanistan. Afghanistan is on the frontlines against various types of threats, including Taliban, Da’ish and Al-Qa’ida, and our partnership matters to our people as well as yours. Afghanistan will do all that is necessary to fulfill its pledges, defend its people, protect its decade-long gains achievements, aim for a peaceful end to conflict, and continue to be a responsible member of the international community in our fight against terrorism and extremism. Our experience shows that the Afghan chapter will eventually come to a satisfactory closure, once we act with strategic consistency and purpose, to aim for a just and lasting peace through talks – when and where they may take place. We, the Heads of State and Government of the nations contributing to the Resolute Support mission, and the President and Chief Executive of the National Unity Government of the Islamic Republic of Afghanistan, met today in Warsaw1 to reaffirm our mutual commitment to ensure long-term security and stability in Afghanistan. We pay tribute to the efforts of all the members of the Afghan National Defence and Security Forces and of the Resolute Support mission, and we honour those who have lost their lives or been injured since our efforts began. Afghanistan will not stand alone. 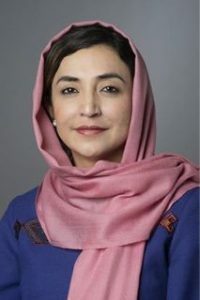 Together with the rest of the international community, our aim remains that Afghanistan will never again become a safe haven for terrorists who can pose a threat to our security; and that it is able to sustain its own security, governance, and economic and social development, while respecting human rights for all of its citizens, notably those of women and children. Since our Wales Summit, Afghanistan, with the support of the international community, has continued to make advances, including in democratic processes, education, healthcare, human rights including those of women, and free media. But Afghanistan still faces serious challenges, and further efforts are needed for the country to fully safeguard and consolidate our joint achievements. This includes in areas such as: electoral reforms, empowerment of women, combating corruption, countering narcotics trafficking, and to ensure a stable security environment, job creation, and improve economic opportunities, which would have an important impact on migration. Since January 2015, the Afghan National Defence and Security Forces have maintained full responsibility for security throughout the country. Since then, at the request of the Afghan National Unity Government, the non-combat, conditions-based Resolute Support mission is providing training, advice and assistance to allow Afghanistan to continue to build professionally trained and well equipped defence and security forces which are demonstrating remarkable resilience and courage in meeting the challenges they face. While the Afghan Security Institutions and forces continue to develop and make progress, challenges and capability gaps persist, and they continue to need international support. Strengthen and enhance the Enduring Partnership between NATO and Afghanistan established at the 2010 Lisbon Summit, to further develop our long-term partnership including through political dialogue and practical cooperation. Take further steps to protect children from the damaging effects of armed conflict, and from violations of their rights, as required by UNSCR 1612 and other relevant UNSC Resolutions; and strengthen the capacity of the Afghan security institutions and forces to protect civilians. Good neighbourly relations, and regional cooperation and support to a secure and stable Afghanistan, remain essential. We welcome the role played by the Istanbul Process in supporting the Heart of Asia region which includes Afghanistan. A stable and prosperous Afghanistan will support a stable and prosperous region. We reaffirm our belief that an inclusive Afghan-led and Afghan-owned peace and reconciliation process, which respects the Afghan constitution and human rights, including notably the rights of women, is the pathway to a sustainable resolution of the conflict. The region and the international community at large must respect and support such a process and its outcome. The NATO-led efforts contribute to the wider international efforts, and we look forward to the Brussels Conference on Afghanistan in October this year. Our task is not yet complete, and we remain resolute and united in our commitment to a secure and stable Afghanistan. In the presence of Japan and the Republic of Korea.